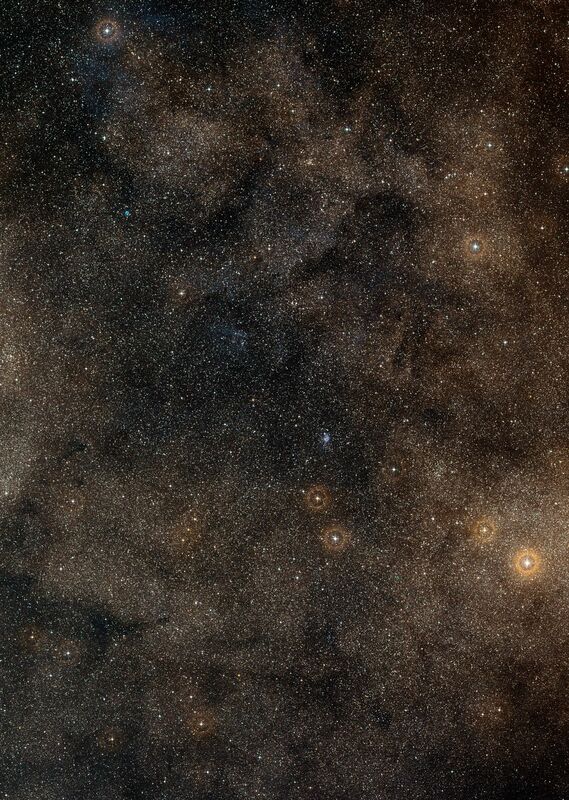 This visible light wide-field image of the region around the yellow hypergiant star IRAS 17163-3907 was created from photographs taken through blue, red and infrared filters and forming part of the Digitized Sky Survey 2. 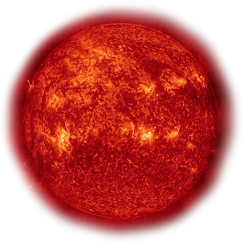 The star appears close to the centre, indistinguishable from thousands of others. This very rich star field in the direction of the centre of the Milky Way also features the blue ring-shaped planetary nebula NGC 6337 to the upper left of centre, as well as several star clusters and some faint clouds of glowing gas. The field of view is approximately 2.9 degrees across.